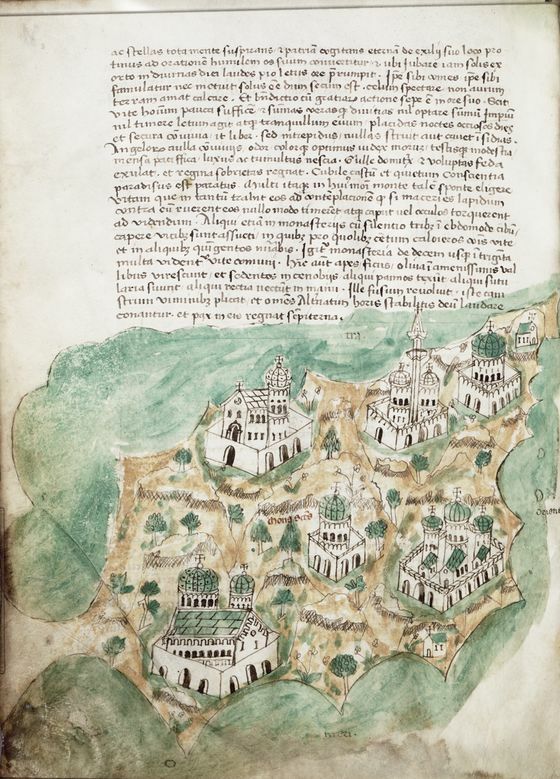 Mount Athos, manuscript on vellum with many Greek islands 1420. Go to the database of the National Maritime museum (UK) to zoom in en read the text. This entry was posted in maps and tagged manuscript. Bookmark the permalink. It funny to see a minaret on the Holy Mountain!!? It is not fysical reality what is depicted. Islam was growing, visible (in Greece) those centuries. The monasteries are not real, I think. The map just indicates: Mons Sanctus (Holy Mountain). The minaret is strange , I agree, because the islam came in 1453. 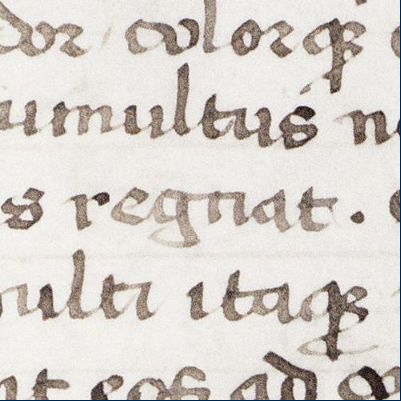 Is the image of a later date then 1420? 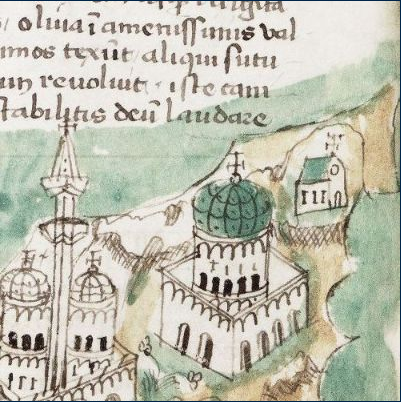 You can argue that the mapmaker had some knowledge of the location of the monasteries. My interpretation: in the middle Karyes, the small building. At the end the chapel on the summit although a mountain is not drawn, on the left Vatopedi, Iviron and lavra. On the right Chilandariou and Xenophontos.